Parents frequently ask our doctors and staff how they can help their children be less anxious about going to the dentist. 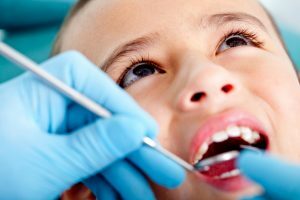 No matter whether it’s for a routine cleaning or for a more involved procedure, many children experience fear when coming to the dentist. This can make it challenging to make sure they get the care they need when they need it and it can also impact how they feel about getting dental care as adults. To help parents out, in today’s blog, our team will provide a few tips to help dispel your child’s dental anxiety. For more tips and information, or to schedule your child’s appointment with a dentist in San Marcos, contact Alligator Dental today at 512-393-3500. No parent wants the unpleasant experience of your child being upset at the dentist office. How can you help ease their fear and anxiety? Throughout the years we’ve heard a lot of recommendations on the topic, and we’ve listed four of them below. When you commit to bringing your child in on a regular basis once his or her first tooth has emerged, you’re not only giving them the best start possible for dental health, you’re also exposing them to the experience of going to the dentist at an early age. This is beneficial for several reasons. Children who are brought into a dental office early are allowed to get used to the dental office environment long before they have any reason to associate anything negative with it. They are also given the opportunity to form relationships with the dentist and staff that will go a long way in building trust in the dentist. It also encourages early education and assistance with dental hygiene techniques. Kids have an uncanny sense of picking up on the fears and anxieties of their parents, whether they are verbally expressed or not. If you’re feeling nervous about your child’s upcoming visit to the dentist, it’s likely that he or she will sense this. Unfortunately, this will only feed into any fear your child might have, or worse, make your child worry unnecessarily if he or she wasn’t doing so already. Likewise, if your child is upset upon arriving at the dentist office, it’s always best if you can remain calm. This cen help your kiddo calm down and help demonstrate that there is nothing to be afraid of at the dentist office. Not all dentists are created equal, especially when it comes to providers who practice general dentistry and those who specialize in children’s dentistry. Most providers who cater to children understand that their office must be fun, bright, and appropriately decorated to be as inviting as possible to children. This may include having toys in the waiting room and fun posters and TVs in the examination area. Pediatric dentists also understand that kids have small mouths. Therefore, they are more likely to have instruments and equipment that are made smaller to accommodate the tight working quarters. A good dentist will also be patient and kind with children. One of the best ways to get your kids used to the idea of going to see a dentist is by playing make believe at home. You can ease into the activity before hand by talking about your last trip to the dentist and the positive aspects about it. This will allow your child to ask any questions he or she might have about your experience and how things felt. You can volunteer to pretend to be the dentist first and check out your kiddos mouth. If you make this activity fun, your child will likely want to return the favor and examine your mouth. Incorporating some make believe role play ahead of your child’s trip to the dentist can make it fun for him or her and go a long way in easing dental anxiety. 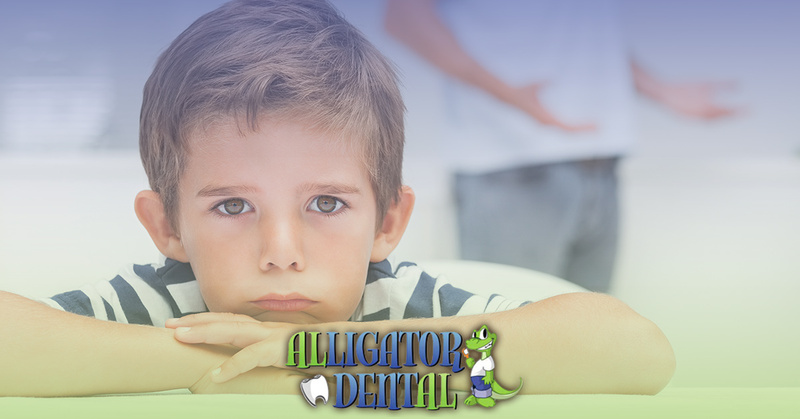 If you’re looking for a kid-friendly dentist in San Marcos, look no further than Alligator Dental! Our office is designed with kids in mind and features fun toys, a bubble wall, and other items that are sure to make your children feel right at home. We’re happy to speak with you ahead of time to understand your child’s individual fears to better customize his or her visit to our office. Give us a call at 512-393-3500 today! We can’t wait to speak with you!